The Ways of the Wayments: The Cutest Bum in the World! 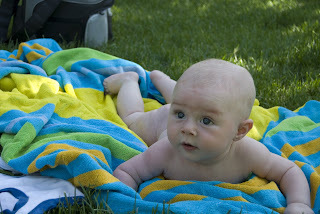 This is after Grayson's kiddie pool adventure -- we layed him on a blanket in the grass and just let him be naked for a bit -- he of course rolled himself over and was so incredibly cute we took tons of pictures! (The little red marks on his nose/under his eyes are from his sunglasses -- we didn't have them on quite right -- poor little guy!) 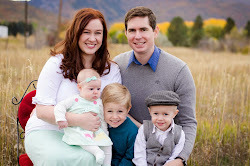 But aren't these the absolute cutest pictures ever?! I love them!!! OOOOHHH! the chub I want to take a huge bite!